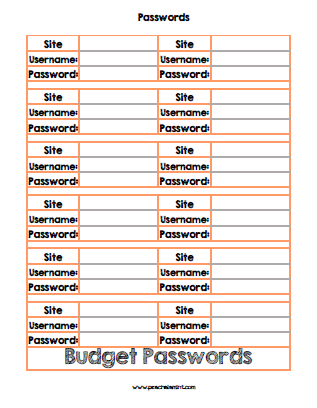 A few months ago I created a budget printable for my budget binder. Well after a month or two of use I decided to redo my binder. I just wasn't happy with what I had and wanted something that looked a little more fun and gave me what I was needing. I have created a few different printables for my budget binder to really revamp the entire thing. The biggest change is my month at a glance. This has been created to fit my current daily planner. It has everything on one page so if I am out and about I can easily glance to that page and see what my finances look like for the month. My biggest problem is on the days I get paid. I go straight to the bank to deposit my check and get money for my envelopes. The month at a glance lets me know exactly how much I will need to use for bills from each pay check. 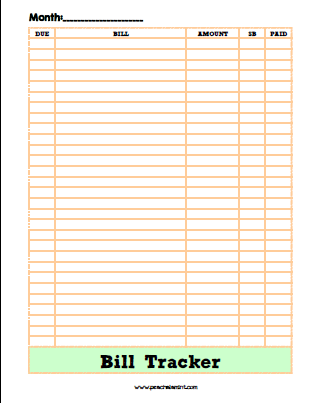 I redesign the monthly bill tracker to be oriented portrait style. Trying to use my binder landscape style was not working. I kept losing things out of the front pocket if I tried to write on my lap. Super annoying. 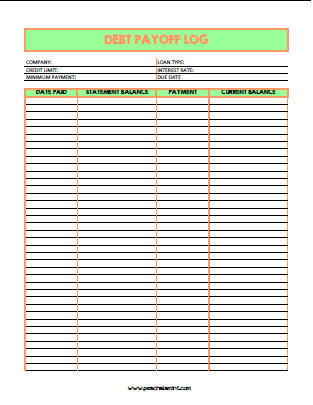 The monthly tracker is pretty simple, you have a column for due date, bill name, pay amount, snowball (if you are using the debt snowball system) and then a box to check once the bill is paid. Simple, straight forward and organized. The third page in this new system is my Debt Log. The debt log is a great way to visually see your credit card, mortgage, student loan etc. being paid off. You will provide all the basics at the top of the page for each individual debt. Then each payment you make keep track of each payment you make. You will write the date you paid, the statement balance and the amount you paid. Once the payment posts you will then go back and write the current balance down. If you already know exactly how much interest you pay each month you don't need to wait to write the current balance. Lastly we have nice Password Log. The current log I use is about a year old and needs to be updated. This log is nice a colorful and will be a great addition to my binder! 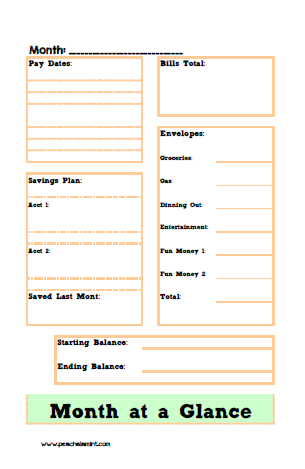 I hope these printables will be great additions or a starting point for your own budget binder. Download all the printables as one document here! !